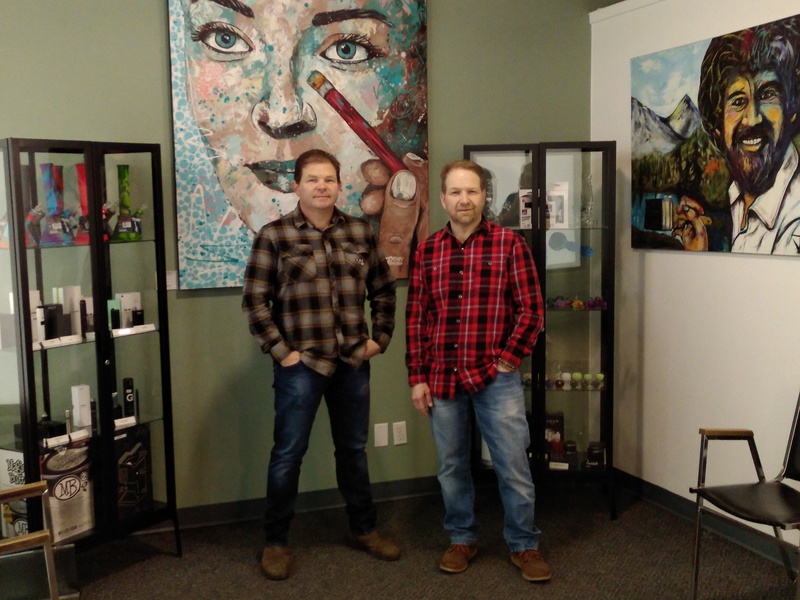 Brothers Dave and Mark Streloff, co-owners along with a third partner in The Higher Path cannabis stores in Castlegar and Trail, show off the area they're going to convert into the Rogen '70s lounge. What does famous actor/comedian Seth Rogen have to do with Castlegar and Trail? Quite a bit, according to Dave Streloff, co-owner of The Higher Path cannabis stores in Castlegar and Trail. Streloff said part of the deal means Rogen retains complete control over quality – everything is grown in the parent company’s facility under Rogen’s supervision. Streloff said that was a high in and of itself. Streloff said they asked if Rogen would be coming out to visit his launch sites, but were unable to secure a commitment from the busy actor/writer/director/producer/comedian, who now lives in L.A.
“It would be pretty neat if he came here on a store tour,” said Streloff. In the meantime, locals will soon be able to visit the Rogen Lounge at The Higher Path in Castlegar. “(Rogen) is packaging everything with a ‘70s theme,” Streloff said. “He’s even licensing music, with an album for each new strain. The Houseplant currently sold only in B.C. is a Sativa strain of cannabis, although Rogen is also developing an Indica variety and a hybrid.